Q: When did you realize that you were an independent person? NG: Growing up, I always wanted my independence, even from a really young age. At two or three years old, my mom told me that I always wanted to do things on my own. When it came to walking down the stairs, I wanted to do it myself. When it comes to the transition of being an independent adult, that transition felt very natural to me. Being on this tour and being out of college gives me a freedom and independence that is new, and I’m really enjoying it. I’m finding out a lot about myself, and that has created a very different kind of independence recently. Q: You have been in quite a few performances, from Heathers to Rock of Ages. Who do you think your character in Cinderella, Gabrielle, would date from those other shows? NG: Gabrielle has a bit of a love interest in Cinderella, so maybe she’d date someone similar to that person. You know, I was in 9 to 5, and I feel like someone from that show would line up. The thing is, Gabrielle is a rather particular gal. I got it. I think she could find a love interest in the ensemble of Heathers. The age would be right because Gabrielle is eighteen, and Heathers takes place in high school. I feel like she could find herself a boyfriend in that show. Someone who enjoys reading. I feel like they would read poetry on their date. Gabrielle is really optimistic, so she enjoys the little things in life, and she was deprived of certain things growing up. Volunteering at a soup kitchen or helping out at the Salvation Army — those are activities I imagine Gabrielle being interested in doing on a date. She would want to show the kinder side of herself that she hasn’t really been able to show because of her mom. Q: I hear that you are an avid tea drink. Can you let us in on how you decide what tea to drink? NG: I worked at Teavana when I was in high school. I worked there for a year or two, so I have this random amount of knowledge about tea. When it comes to deciding on tea, there are some basics. Chamomile is nice when you are going to bed (anything without caffeine is a good choice). When I’m looking for a pick-me-up, I’ll turn toward an oolong tea, which is in-between a green and a black tea. The leaves with oolong tea, though, are beaten and then brewed. It’s a great fat-burning, metabolic tea that gives you an energy boost. If I think about my go-to tea, I’d say that a peach green tea is my staple. I don’t think you can ever go wrong with that tea. It makes you happy, it’s like sunshine, and it reminds me of summer. It doesn’t need to be sweet — maybe just some dried peach fruit mixed inside the tea. It’s funny because I was talking to a friend the other day, and I was telling her that I have this random knowledge of tea that I’ll never get to use. Now, I’ve gotten to use it [laughing]. Q: What is an archetype you haven’t been interested in playing or taking on? NG: As a woman, and for people in general, we are given certain archetypes. Some of those archetypes can feel a bit binding, and I’m sure most people feel that way. I don’t think anyone likes being confined to a box and told they can venture outside of that. Like I said earlier, I’ve always been really independent, and I’ve always wanted to travel and explore. So, anything that would make me feel like I couldn’t move around because I had other responsibilities, which could be really wonderful responsibilities — like being a mom or being a housewife — are not something I have gravitated toward. As beautiful as those things are, it would be really hard to do what I’m doing right now and have those responsibilities. My work comes with other responsibilities, and that’s what I’ve chosen for right now. Of course, those things can change, which is awesome. It’s great that we can constantly reinvent and reassess what values we want to push forward in life. For now, I want to push myself and really build my career while exploring and traveling. Q: What advice do you think your character in Cinderella, Gabrielle, gives — directly or indirectly — that sticks with you? There’s a place for trying to be optimist and trying to look at things with the ‘glass half full’ mentality. That way we don’t dwell in the negative, and we enjoy the simple, maybe even small things in life. Gabrielle grasps onto these little things that intrigue her, and it’s something I hope I and others take away from the show. 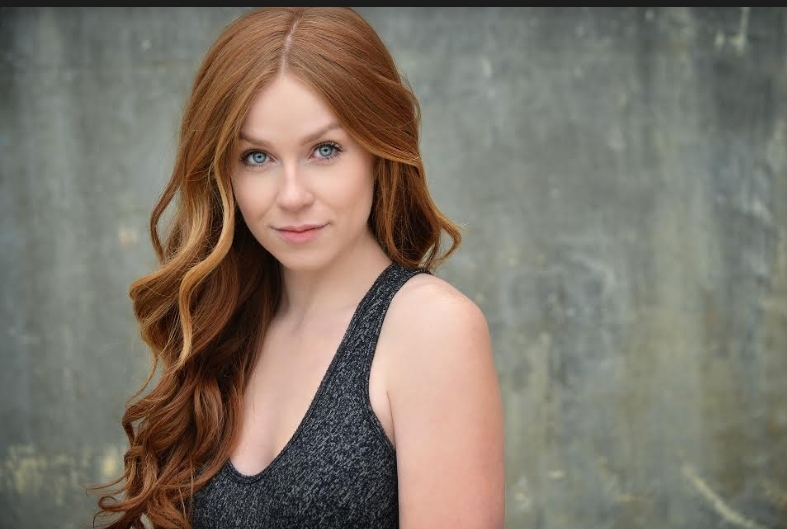 You can see Natalie Girard performing as Gabrielle in Rodgers and Hammerstein’s Cinderella, which will be at The Saenger Theater from Friday, April 12 until Sunday, April 14. For tickets and more information about the show, you can visit the Saenger’s Website.